New Zealand's isolated position in the vast South Pacific Ocean makes it internationally the most ideal country in the world for oyster farming. The Sub Antarctic convergence zone, where cold nutrient rich southern waters meet warm water from the southern pacific tropical current, centres off the New Zealand coastline, producing high plankton productivity resulting in optimum conditions for oyster cultivation. With New Zealand's very small population, Nuclear Free environment and vast distance from heavily populated and polluted areas we have an ideal environment for oyster farming which we complement with a commitment to only produce a completely natural product. Over the last 30 years New Zealand pacific oysters have established an enviable reputation in many of the worlds leading markets for their consistently superior quality. 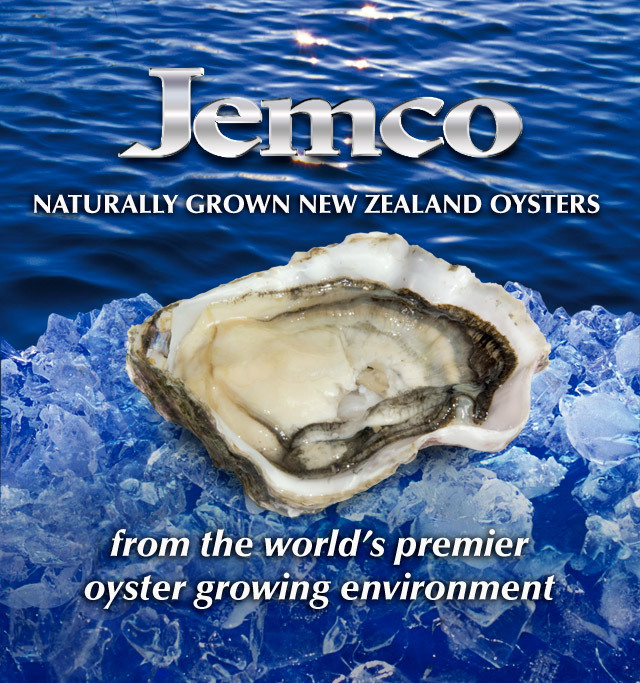 Jemco is the leading exporter of New Zealand Oysters and accounts for more than 70% of New Zealand's oyster production.